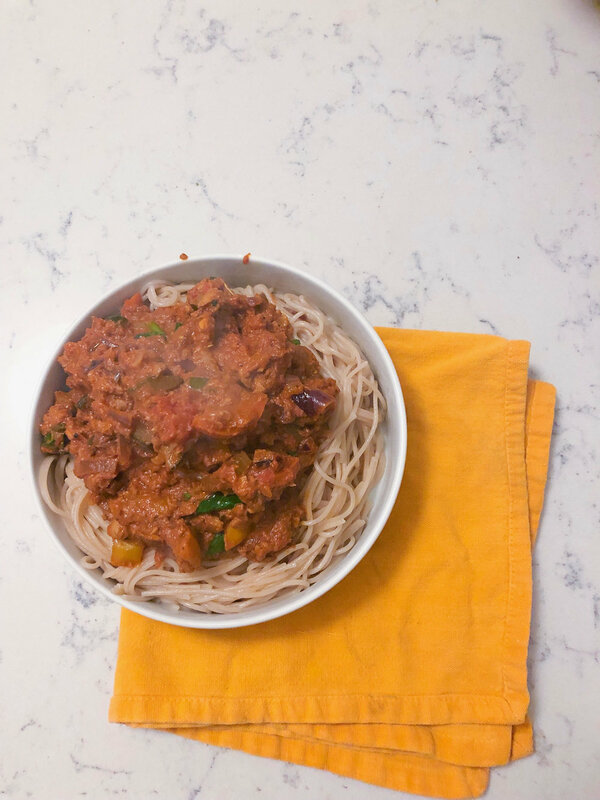 I was surprised with how easy this meal is and how delicious it is too! Its super nutrient dense and tons of veggies in it paired with that pasta for a perfect dinner balance. this is how mine looked after blending -as long as its not totally blended you are good to go! 1. Caramelize onions with 3 TBSP olive oil, salt to taste, 1 tsp paprika and 1 TBSP maple syrup, brown sugar, or local honey. Stir often. 2. After onions are translucent and slightly brown (about 8 minutes), add in all the diced veggies - zucchini, carrot, red pepper, celery and let cook. 3. While waiting for the veggies to cook, put mushrooms, walnuts, salt, flour, and 1 TBSP olive oil in food processor. Note: Only blend until resembling ground meat — do not blend all the way for the love of god! (note: One time I tried to use the vitamix and it was a fail and a success at the same time! It blended the bottom quarter till watery smooth so I had to take the rest out and chop it and then mix them all up together. It works but make sure you don’t blend it all that way. 5. 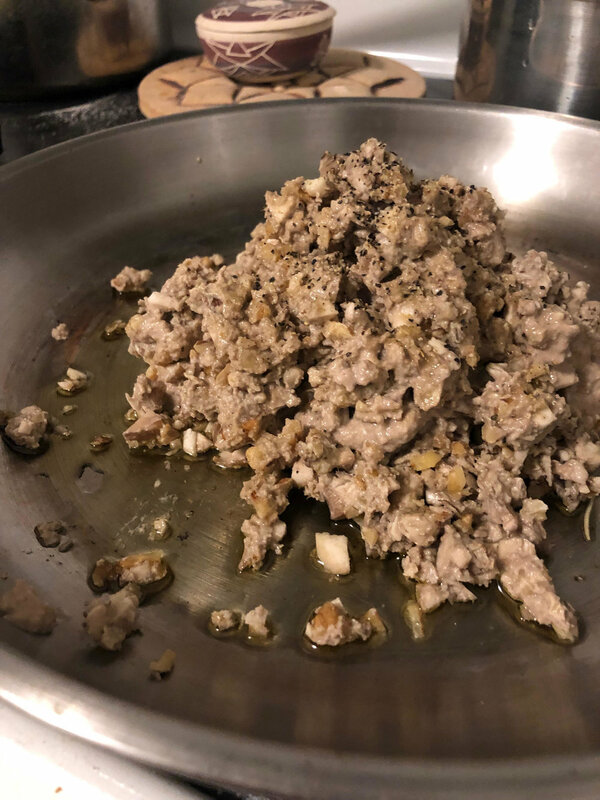 Put the mushroom walnut mix from the processor in a big sauté pan with 3 TBSP olive oil and let cook while stirring occasionally - about 10 minutes. 6. By now veggies should be soft and sautéed - add them to the mushroom walnut mix and then stir in the marinara and let all simmer together. 7. When noodles are ready, drain and plate! Its ready! Add your mushroom bolognese on top of noodles and then top with the nut part! ENJOY!